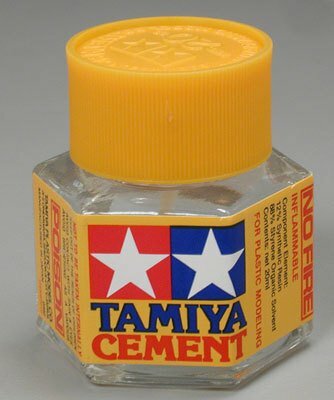 This is a 20ml Jar of Tamiya Cement. FEATURES: This is a liquid cement for styrene resin models. It has an excellent bonding characteristic! 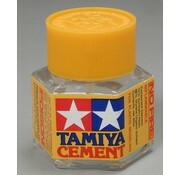 Can be used in the construction of any stryene plastic model, plastic sheeting or plastic repairs. 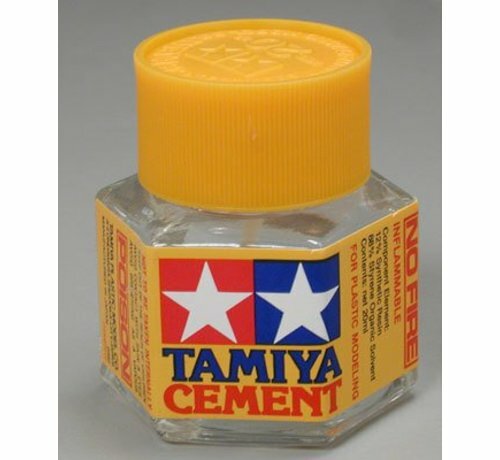 Glass jar with a screw-on lid. Lid has an attached brush for ease of application.